There are many situations which could lead users to save their Outlook emails as PDF files. It is a virtual document file, which you could read with Adobe Reader easily, it can contain text, images, graphics, links, videos, attachments, etc. Though Outlook provides option to save emails as PDF, you need to have Acrobat install in your machine for using the technique. 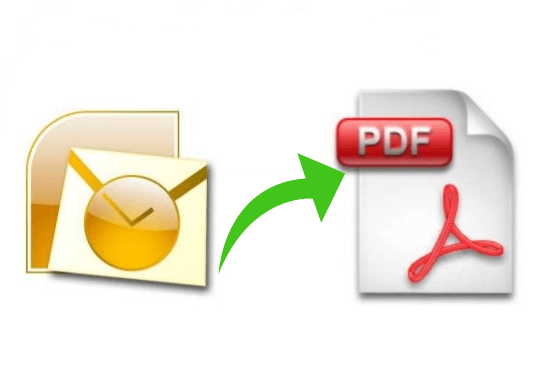 But unfortunately with this method your email attachments get saved as PDF as well, not in the original file type. So, users can here make use of the PST to PDF Converter software, works with proper algorithm to save mails of Outlook to PDF. The software provides simple and straight-forward solution to save Outlook emails into PDF format. You can save as many emails as you want at a time into PDF format without any issues. Outlook saves its data into PST file format; you can export the Outlook emails in PST and then using the PST to PDF Converter save them into PDF. If you have already got the PST file, but MS Outlook is not install in your machine then that is not a problem, as you can still use the PST to PDF Converter software to get the conversion done. Why Convert Outlook PST To PDF? The greatest thing about PDF files is, to read them you only required Adobe Reader. When you convert mails from Outlook PST to PDF file format, you enhance the flexibility of Outlook messages. The SysVare Outlook to PDF Converter proves to be a proficient solution for all users whose business and work demands migrating from one place to another. You have more than 1 PST file? No problem, use the software and convert them into PDF file at once. The tool allows multiple selection of PST file at a time. 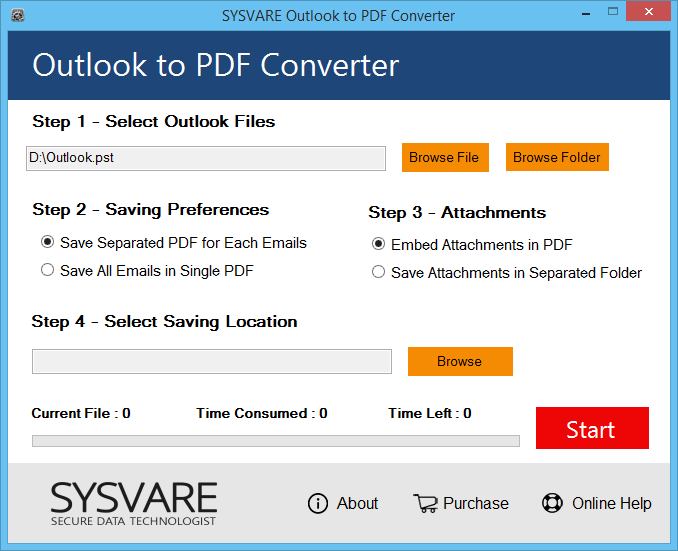 The SysVare Outlook to PDF converter software saves each email in separate PDF file, does not merge them or overwrite any existing files. If you have selected multiple PST files, then for each file a separate folder is created in which the emails are saved. The software does not change the emails layout; it maintains them as it is. It keeps the metadata header elements – to, cc, bcc, subject, images, font, text, signature, body format, color, formatting and also keeps the attachments and that too in their original format. The software supports all the Windows OS platform of both 32 and 64 bit, it also includes Windows 10. The tool does not requires MS Outlook installation, but supports conversion of PST file from all MS Outlook edition. The software does not have any hard-core working process, just select files, choose a saving location and convert Outlook PST to PDF. Anyone could use the program without any issues at all. Users are provided with free software testing, which allows them to check out the complete program working. It is a free testing, using which you are allowed to save 25 Outlook emails as PDF and know the entire working properly. With this program, you can enjoy a simple and easy procedure to save Outlook emails as PDF files and that without needing to change any of your system settings.